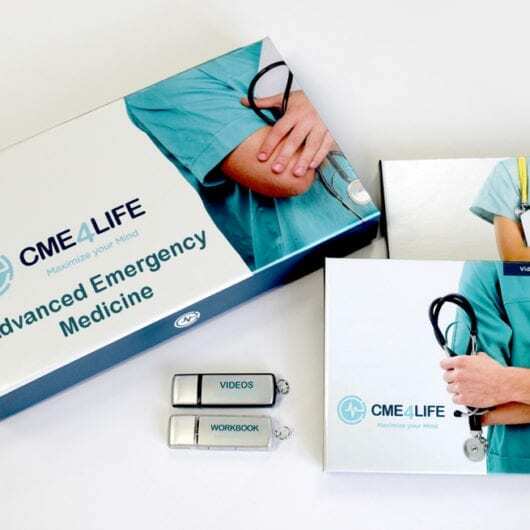 Receive five (5) American Medical Seminars, Inc.® Emergency Medicine Modules bundled with an optional Amazon gift card. Each module is approved for 5 AMA PRA Category 1 Credits™ and includes access to download your Audio MP3 &/and Video MP4, stream them from your account portal, a PDF Digital Syllabus and access to Online Testing. With the hardcover option, receive the same features as the download products PLUS you will be sent the media files and PDF Syllabus on USB and storage case. Faculty: Andrew Chang, M.D., M.S., F.A.C.E.P., F.A.A.E.M., Ganesan Murali, M.D. and Arshad A. Wani, M.D. Describe the pathophysiology of syncope. Differentiate between various causes of syncope. Develop a diagnostic algorithm for the evaluation of syncope as per the 2017 ACC Guidelines. Employ management strategies for patients presenting with syncope. Faculty: O. Fred Miller, III, M.D., Jeffrey Miller, M.D., M.B.A. and Michele S. Maroon, M.D. Recognize, identify and avoid the “most common suspected drugs in producing certain reaction patterns. Faculty: Valerianna Amorosa, M.D., Joel Kravitz, M.D., F.A.C.E.P., F.R.C.P.S.C. and Stephen C. Eppes, M.D., F.A.A.P. Formulate a rapid and concise treatment plan for various emergencies, such as: Ectopic pregnancies, Uterine hemorrhage, and Gynecologic infections.